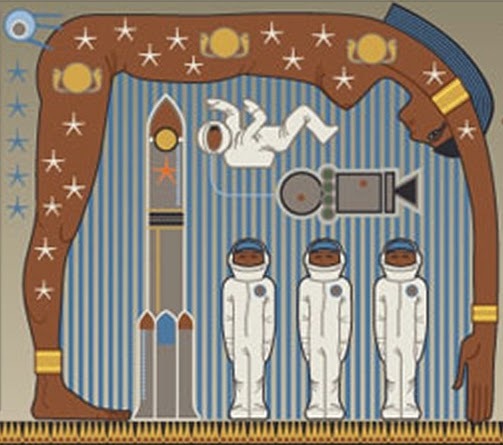 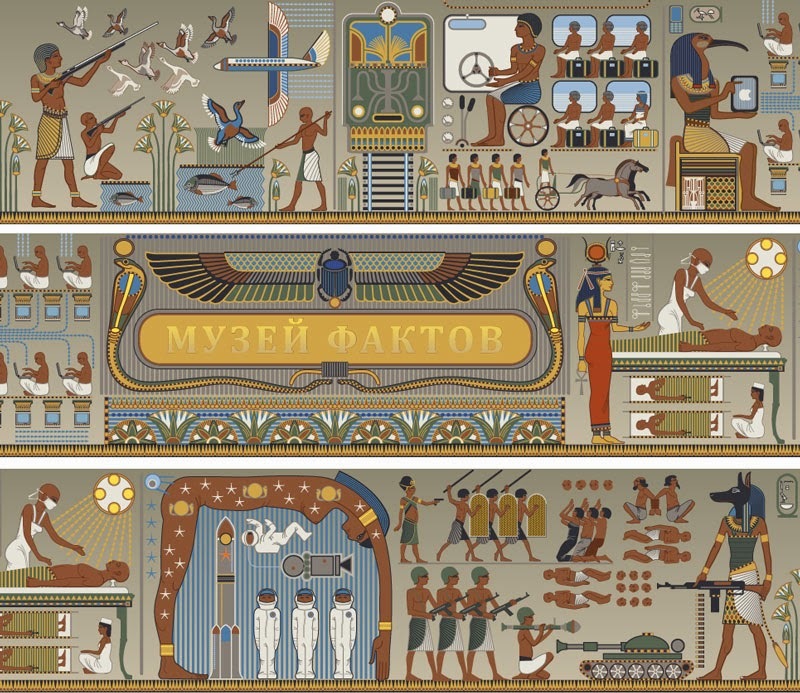 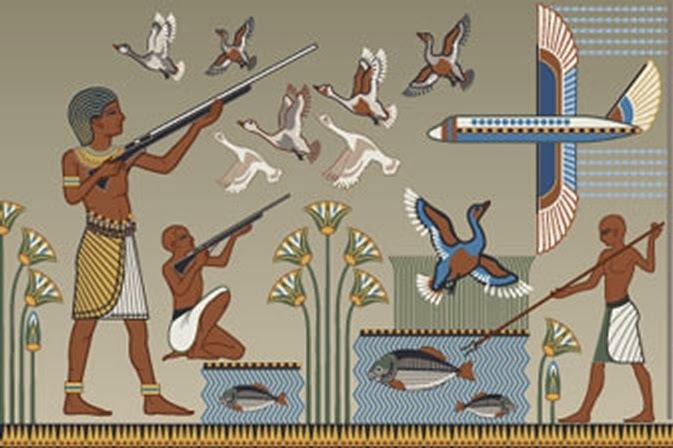 Russian Based Artist and Illustrator Anton Batov gives us a possible insite into Egyptian Hieroglyphics and how they would possibly look like if they were carved and painted today. 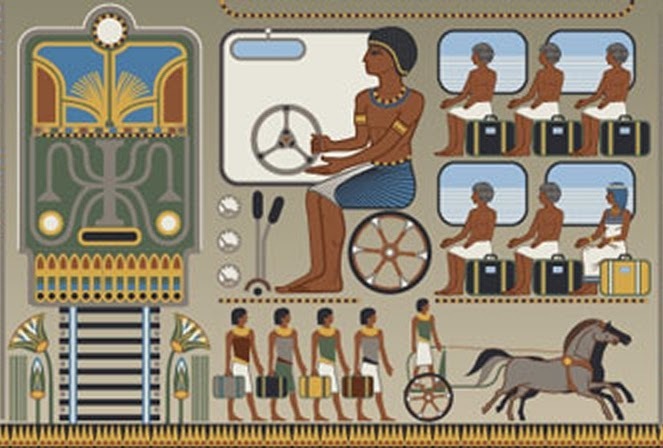 Modern trends like, the desire for luxury, that in some way, were the same at that time, except that now they are more accessible to the masses (but in no way universal). 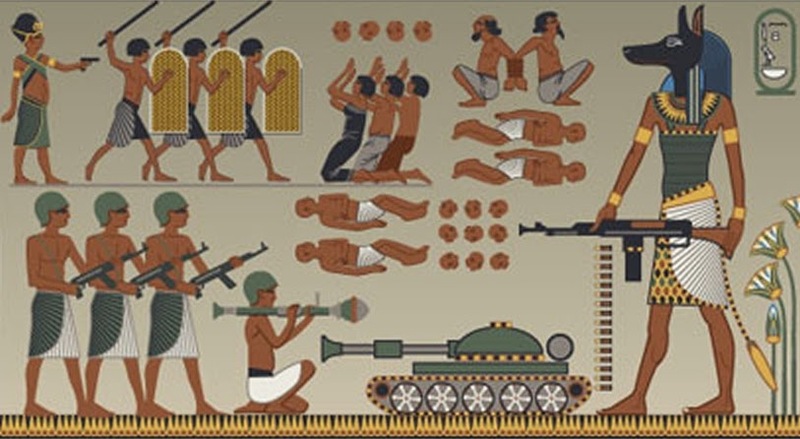 Another theme that is recurrent in the old and the new symbols, is the prominence of fighting and arms. 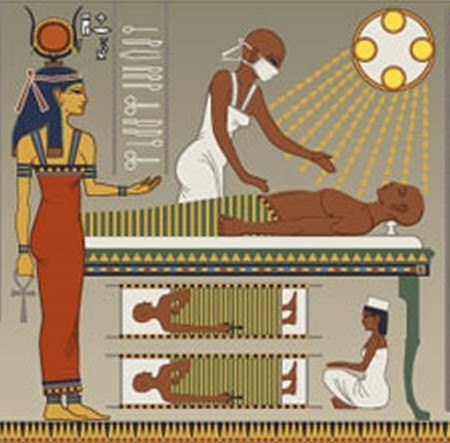 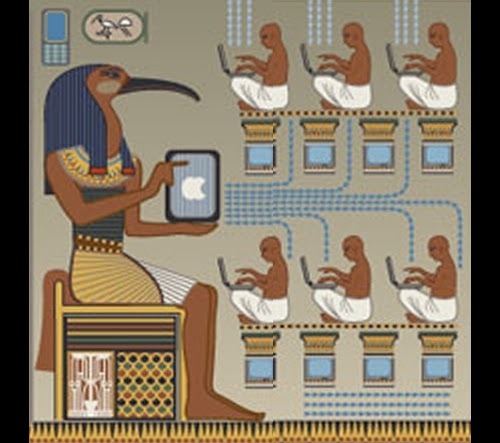 Hieroglyphics date thousands of years back and it is amazing to see that, technology aside, our likes, our desires and wants have not changed that much in all this time.